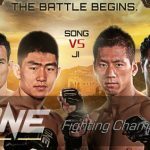 Asia’s largest mixed martial arts organization w/ a 90% market share, ONE FC has finalized the fight card for ONE FC: DYNASTY OF CHAMPIONS. Bibiano Fernandes submitted Dae Hwan Kim with a Rear Naked Choke to retain his ONE FC Bantamweight World Championship. 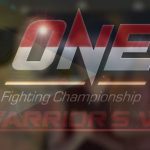 ONE FC announced today that all but one of the mixed martial artists competing tomorrow have made weight and ready for ONE FC:WARRIOR’S WAY. 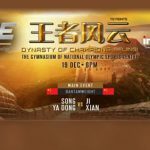 ONE FC announced that DYNASTY OF CHAMPIONS is set to take place at the The Gymnasium of National Olympic Sports Centre in Beijing on Dec 19. ONE FC played host to a packed Singapore Indoor Stadium crowd, once again proving to be the undisputed king of Asian mixed martial arts. 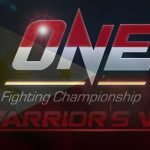 ONE FC has added four exciting bouts to ONE FC: WARRIOR’S WAY, which is set to take place on December 5 at the Mall of Asia Arena in Manila.